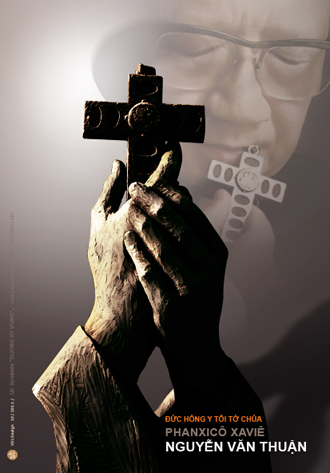 On this 14th anniversary of his passing, let us stay united in prayers asking God to bless the Cause of Beatification, to grant peace to Vietnam and the world. With praise and thanks to Almighty God – the family and friends of Servant of God Cardinal François Xavier Nguyễn Văn Thuận, invite you and your family to remember 13th anniversary of the death of the Cardinal’s passing, the Church and the world are joining their hands and hearts to celebrate the Joy of Resurrection. 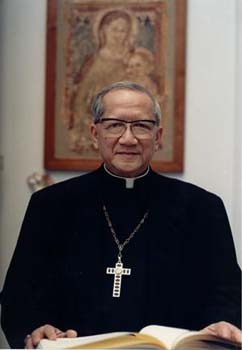 With praise and thanks to Almighty God – the family and friends of Servant of God Cardinal François Xavier Nguyễn Văn Thuận, invite you and your family to remember 12th anniversary of the death of the Cardinal’s passing, the Church and the world are joining their hands and hearts to celebrate the Joy of Resurrection. 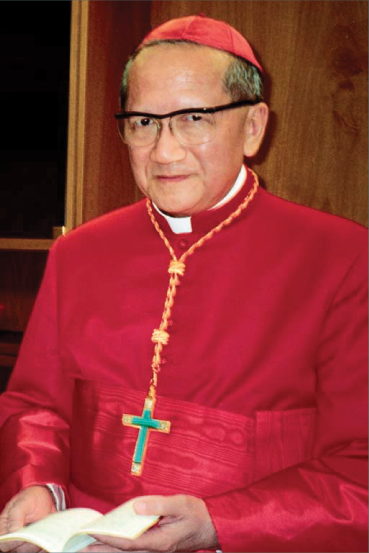 With praise and thanks to Almighty God – the family and friends of Servant of God Cardinal François Xavier Nguyễn Văn Thuận, invite you and your family to remember 11th anniversary of the death of the Cardinal’s passing, the Church and the world are joining their hands and hearts to celebrate the Joy of Resurrection. of Cardinal Francis Xavier Nguyên Van Thuân. to the honour of sainthood. của Đức Hồng Y Phanxicô Xaviê Nguyễn Văn Thuận. cũng như về công lý và hòa bình. và sức nồng ấm của đức ái. sớm được vinh hiển trên bàn thờ. 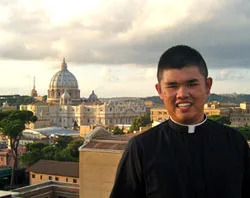 Joseph Nguyen awoke from a 32 days coma to tell his miraculous story of meeting the Cardinal twice. Vatican officials in Rome are considering Joseph's healing in the process of beatification of Cardinal Van Thuân. The solemn opening of the diocesan investigation on the life, virtues and reputation for sanctity of the cardinal will take place Oct. 22. The session will be presided over by Cardinal Agostino Vallini, the Pope's vicar for the Diocese of Rome, and Cardinal Peter Turkson, current president of the Pontifical Council for Justice and Peace. Thousands gathers to commemorate the 8th anniversary of the late Cardinal. His life is an example of faith and holiness for Catholics in Vietnam and the world. The cause for his beatification underway.